We seek to help people heal through a heart-felt transformational process that both awakens their intuitive wisdom of body, mind, and spirit and empowers them to embrace and use their gifts for creating purposeful lives. We encourage people seeking our guidance to participate in a supportive community that integrates wisdom from sacred traditions of humanity that honor the earth and all its beings. We cultivate love, respect, and compassion in our practitioners so that they also embrace their gifts and use them to help and inspire those seeking their help. What is Heart Path Therapy®? 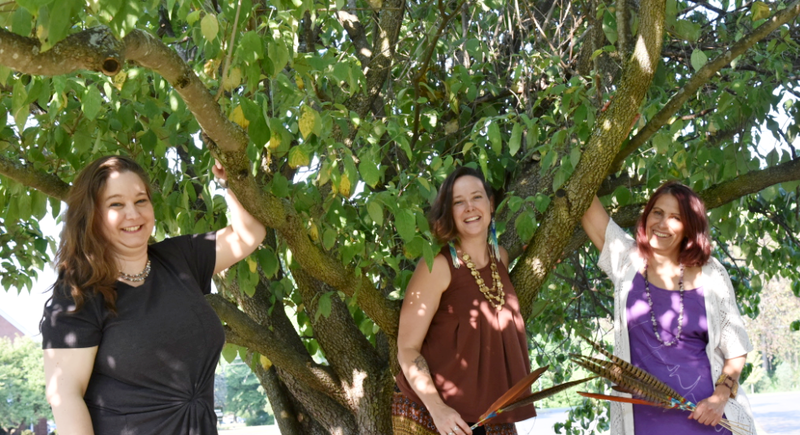 Heart Path Psychotherapy integrates focusing on feelings in the body, inner childwork, and family of origin work with uses of the imagination (shamanic & traditional) energy, and prayer based in any tradition. They are a powerful way to release the unconscious emotional blocks to change our perceptions and feelings in the present. It is then possible to release depression, anxiety, relationship difficulties, and the effects of childhood trauma. Tools of Heart Path Therapy include therapist’s use of intuition, focusing on your feelings, guided imagery, concepts from Gestalt Family Constellations (Bert Hellinger), energy psychology, affirmation work, and more. Heal your heart. Light your path. ... What is your value? Your gifts? ... your purpose in life? It is early life challenges that lead to the not knowing, but the Heart Path healing process to discover these answers can be so profound....to see your value, your inner love, and your gifts awakens the heart to love life and release suffering. With Heart Path Therapy and other creative tools, many clients have been able to releaseemotional chains and open the door to a freer life. How Can You Really Change... that is, release the pattern of emotional pain and really liv e life fully? Finding and following your inner truth, to know and follow what it is that can give your life meaning, to open to the ability to know love, and give and receive love that nurtures... these are the qualities that clients finally experience after experiencing the Heart Path Therapy that integrates many deeply spiritual or emotional and imaginative forms of psychotherapy. More than “talk therapy” it involves communicating with the very feelings that have gotten in your way...yes, the hurts. You have already tried to “talk yourself out of them” to survive, but as you know it hasn’t dissolved them, only helped you cope for a while. You have the capacity to go deeper, if you wish, to a place inside that can actually heal the hurts, as long as you have a therapeutic relationship that is deeply supportive in your journey there. We have taken thousands on this deep and life-changing journey.